Boise is one of the largest resettlement cities in the country! 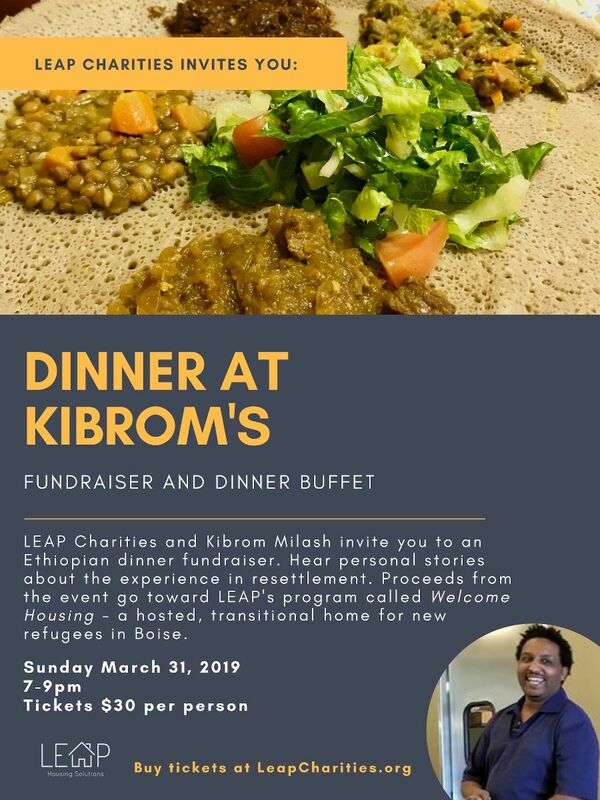 Join us for a night of Ethiopian cuisine and fun - while also supporting Welcome Housing! This program provides transitional housing for new americans. We have volunteer on-site hosts to help our guests find the bus route, the grocery store and host dinners. Help us create the best beggining for our new neighbors. ***RESERVE YOUR SEAT: With the purchase of 4 tickets or more, you can reserve a booth or table in advance! Type the reservation name in the comment box when you order.